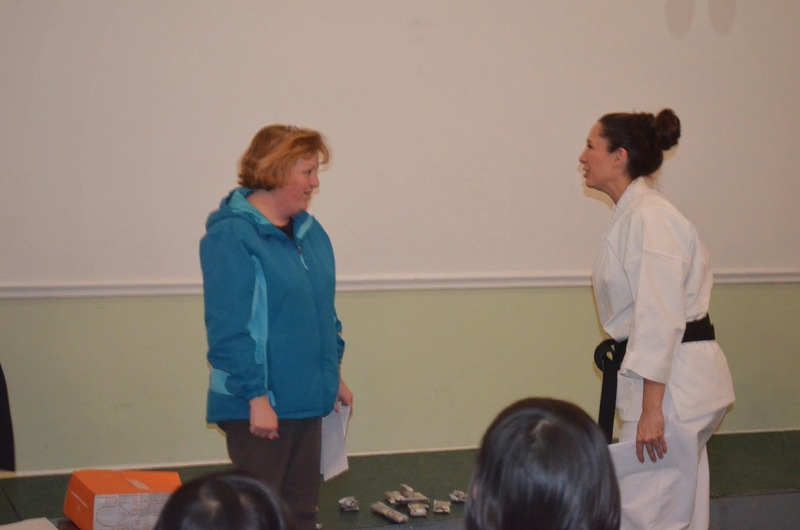 Maine Shotokan Karate of Windham run by Sensei Michele Farwell raised close to $900 for two local families who have lost loved ones to cancer. 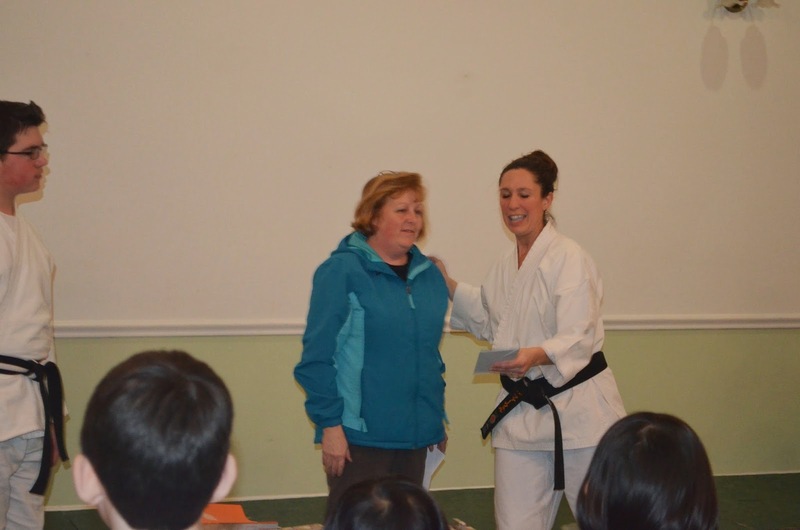 Michele set up a Kick-a-thon where her students campaigned for donations to the worthy cause. Michele also sold "pink" belts to be worn during the month of November and gave all proceeds to the cause as well. The students presented the gifts to the Loftis and Woodward families. The Kick-a-thon was held Saturday, November 15th. 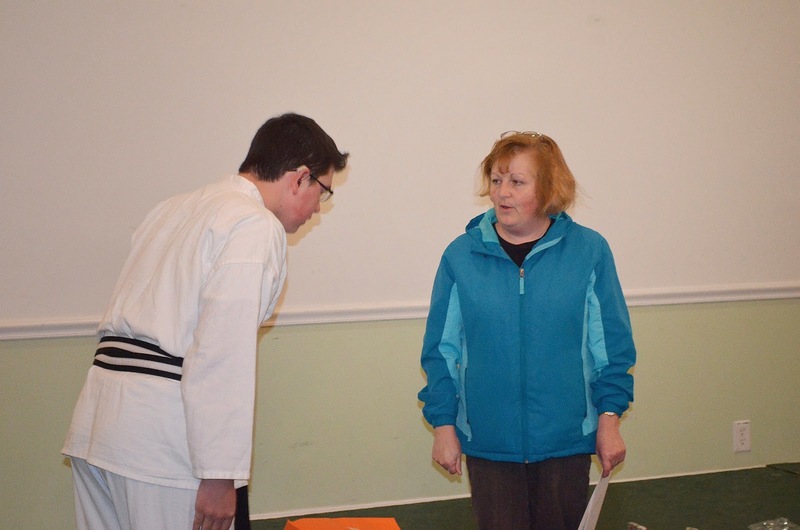 This event was held in Raymond at the Center Stage Dance Studio. 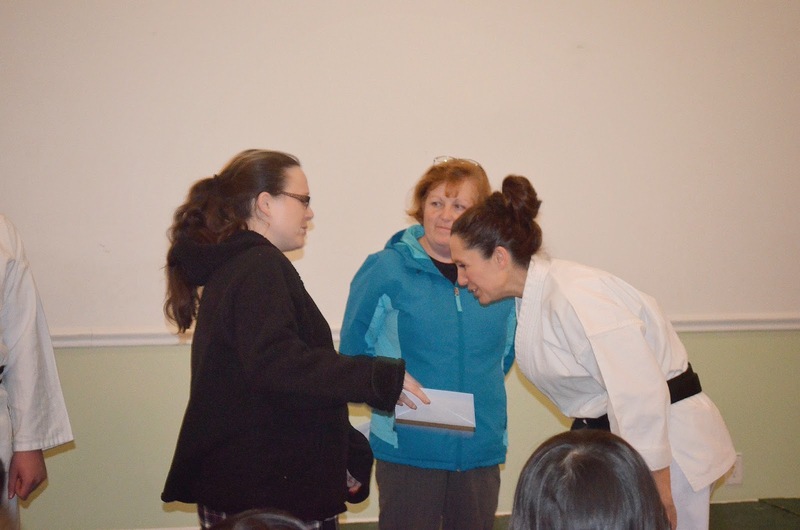 "This event will forever impact a family’s life….I am so excited to give them this gift," said Farwell.